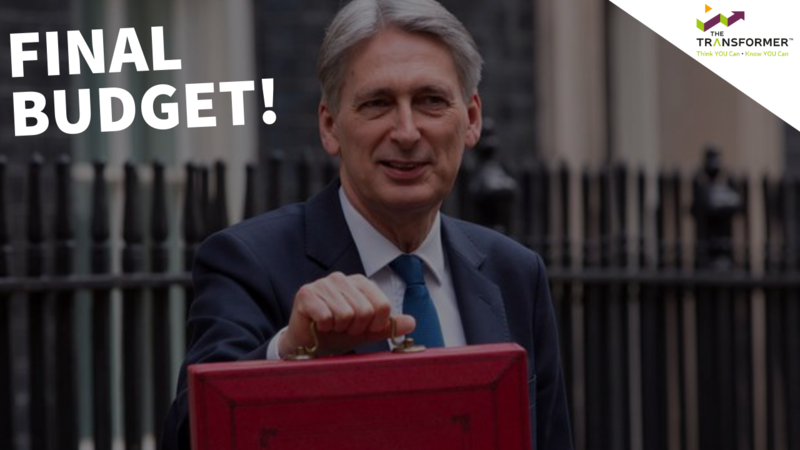 The Chancellor has announced the date for the Autumn Budget. This will be the last budget before we leave the European Union in March. Was it earlier than expected? The Budget has been brought forward, giving the government only four weeks to prepare. It has been brough earlier to clarify the situation on tax, spending and other important financial decisions before a final deal can be reached with the EU. With critical Brexit talks taking place on 18 October this leaves little time to react to the outcome and the expected impact on the economy. In his speech on 29 October, the Chancellor will announce the government’s plans for tax and spending post-Brexit. The result of a number of consultations are also likely to be announced; this could include the consultation on off payroll working in the private sector which closed in August. After the Budget, Finance Bill 2019 will be published, with the legislation coming into force from April 2019. There have been some hints as to what the budget may contain, including Fuel Duty, NHS Spending and Digital Tax. « Previous Post No-deal Brexit plans published Next Post » Fitness Friday: Inflammatory bowel disease – Have you got an angry gut?